We just wrapped our 9th OCP Summit, and by all accounts it was our best event ever, thanks to our amazing team and Community! We had 3,441 registrations this year, a 17% increase over last year. There were 12 Engineering Workshop tracks, with more than 100 sessions, our most ever. THANK YOU to the 80 companies participating as sponsors and/or exhibitors. There were team members from 813 organizations, from 34 countries around the world. 84% of attendees were from the US, from 36 states, the most coming from California (71%), Texas (6%), Washington (5%), Oregon (3%) and Massachusetts (2%). All the sessions were recorded and can be found here along with the speaker slides. Check out the video below to get a true sense of the Summit! 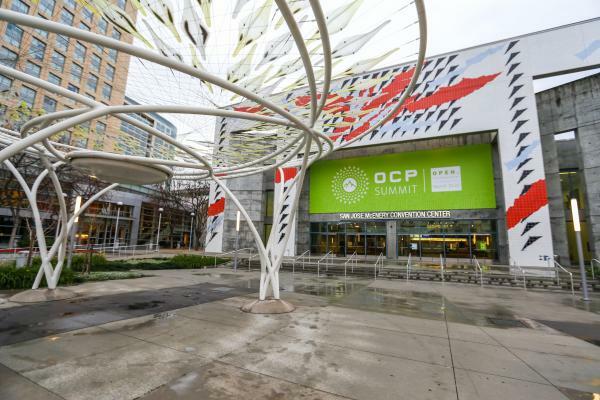 OCP also announced its first Regional Summit, which will be held in Amsterdam October 1 – 2, 2018. Sponsorship sales are open, and more information can be found here. Sponsor and exhibit spots are sold on a first-come, first-served basis and are expected to sell out, as did the 2018 US Summit.